Slices are an easy addition to any lunch box. 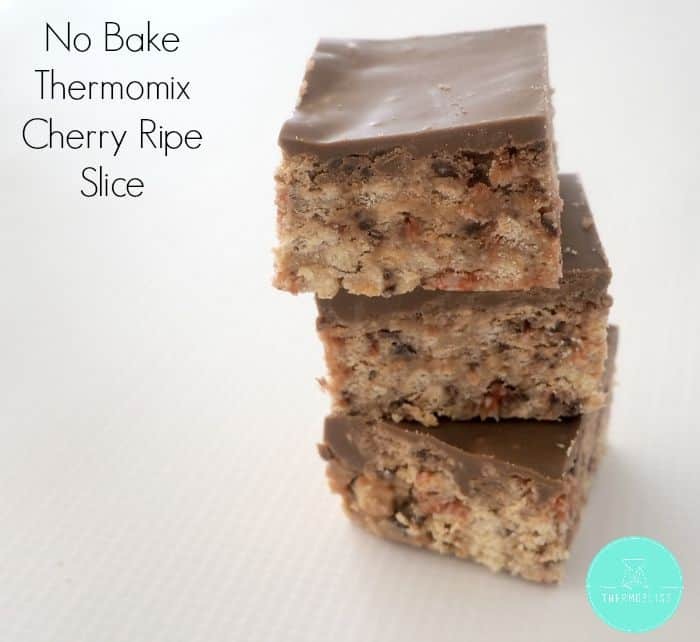 This collection of no bake Thermomix slice recipes can’t get much simpler! 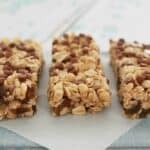 Being homemade you know exactly what your kids are eating each day and I know that gives me great peace of mind. Please be mindful of what is allowed to be packed for your school when it comes to allergy related ingredients. P.S: If you are looking for more lunchbox ideas you might want to check out our Thermomix Lunch Box Cookbook. 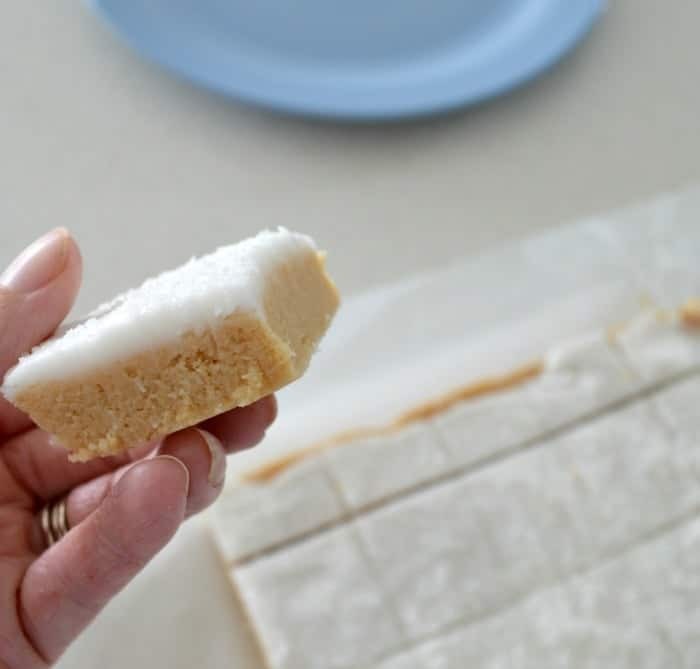 Slice recipes really don’t get much easier than this one, and within minutes this No Bake Lemon and Coconut Slice base will be ready to put into the tin. 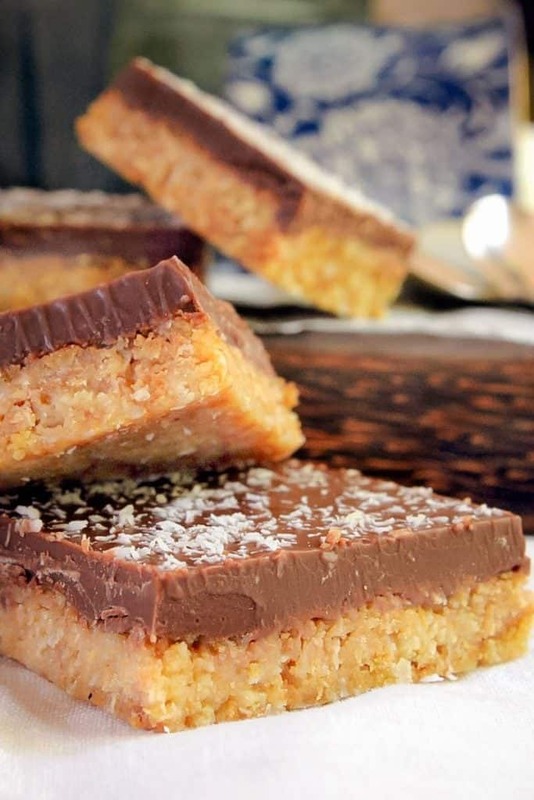 A completely no-bake Coconut Chocolate Slice with a crunchy coconut biscuit base and a crispy milk chocolate top. 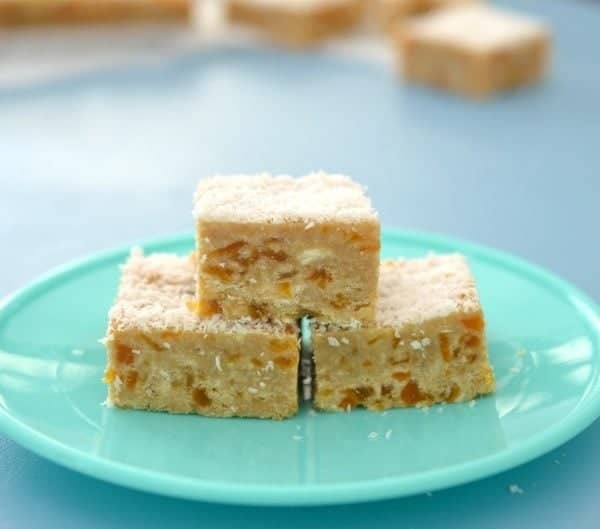 This no bake Apricot and Coconut Slice is my five year olds current favourite lunchbox treat! 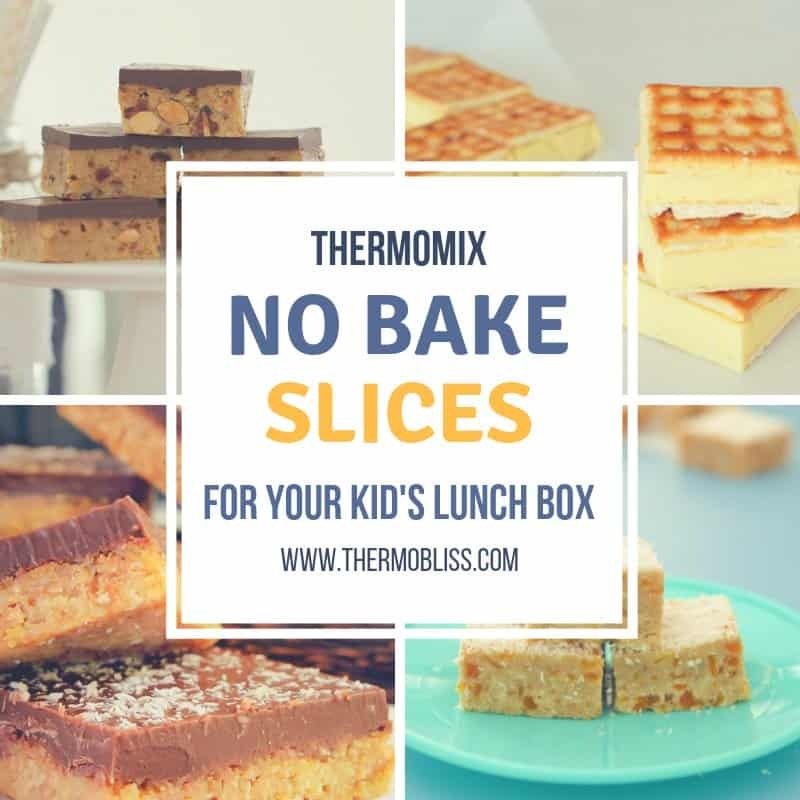 Looking for a quick and easy slice that’s an absolute winner with kids and adults alike? 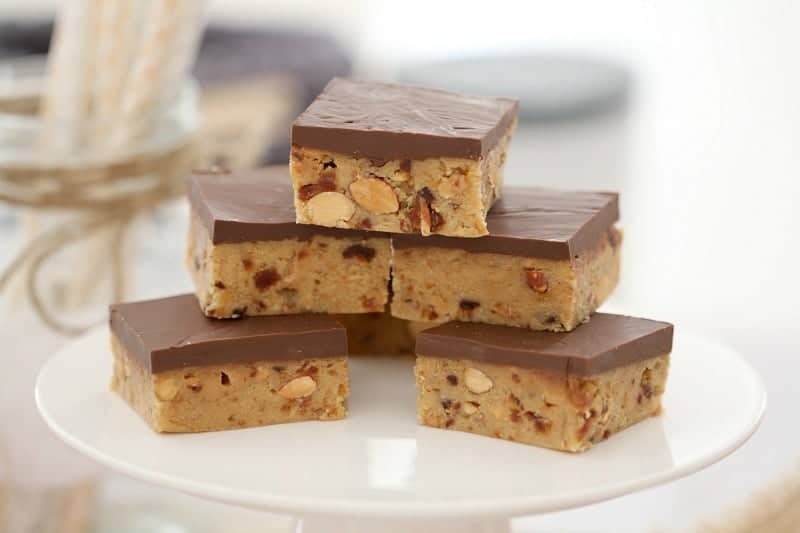 Look no further than our Thermomix Fruit & Nut Slice. 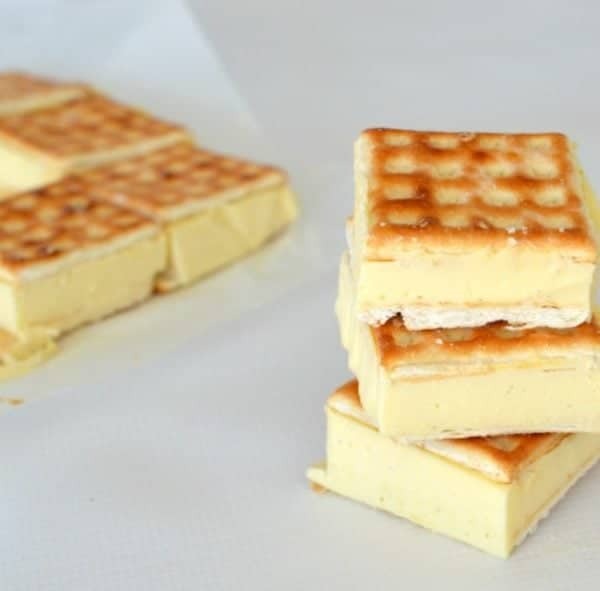 With a creamy lemon cheesecake filling, this easy peasy no bake Lattice Slice makes the perfect dessert! 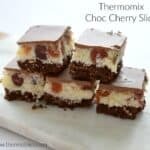 Slice recipes really don’t get much easier than this 4 ingredient no bake Cherry Ripe Slice. 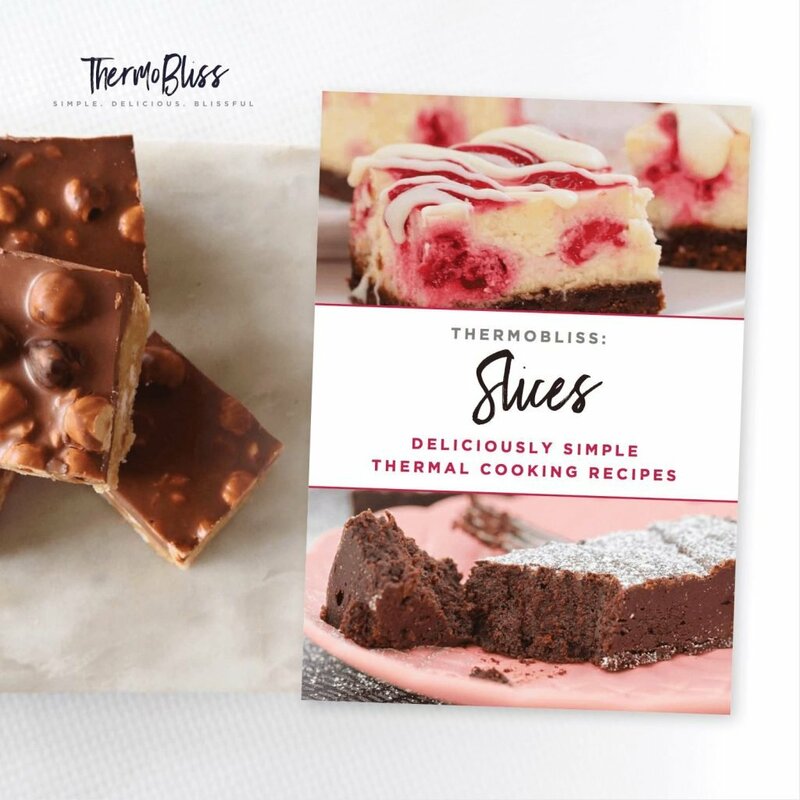 For more great Slices recipes, check out our Thermomix Slices Cookbook. You can shop ALL of our ebooks and books here. Aside from making these for packed lunches, I think this is also perfect for reward treats for the kids whenever they did something great! 🙂 They’ll surely love it.